This post is courtesy of our Sunday Sweets contributor Sarah of Lolli Cakes…Are you ready for Christmas and all the yummy goodies that will undoubtedly be everywhere you look and go? If you are like most, you’ll be invited to some sort of gathering and be asked to bring something sweet. With all the Christmas gift shopping, wrapping and planning, it’s hard to come up with a sweet treat that will be great tasting and yet oh so easy. Well fear not, I am here today to show you a tasty treat that will be not only easy but that will have you in and out of your kitchen in no time so you can get back to all that gift wrapping! How do some no-bake sugar cookie pops sound? Good right?! They taste even better than they sound! Take the salted butter and cream it with the light brown sugar. I used my kitchen aid mixer but you can also use a hand mixer. Once the butter and sugar are nicely creamed, incorporate the flour and peppermint extract and mix until the batter has formed a cookie dough consistency. If there is any part of the batter that is still sticky, go ahead and add some more flour until you get the correct consistency. 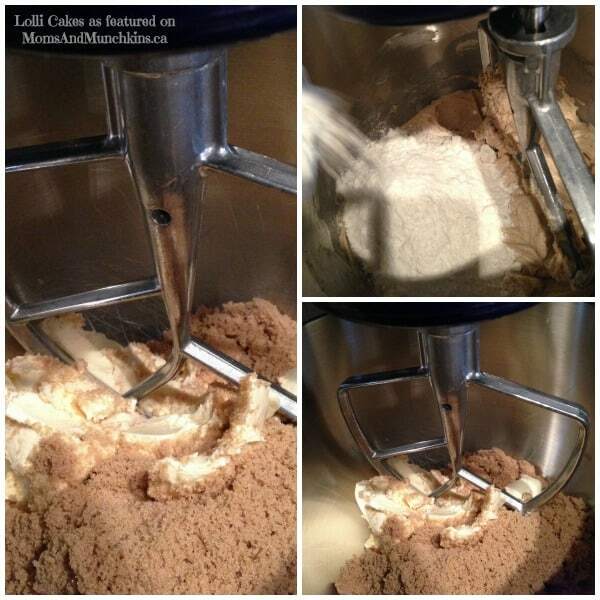 Once it pulls away from the sides of the mixing bowl, it is the correct consistency needed for rolling the pops. Take the batter and roll it into golf ball size balls. Place them on a wax paper or parchment paper. Take the candy coating of your choice (I chose Wilton peppermint candy melts), and melt it in the microwave in a microwave safe bowl or glass in 10-15 second intervals. Take care not to melt it too long or you will risk burning the candy coating. DO NOT thin the candy coating at this time. 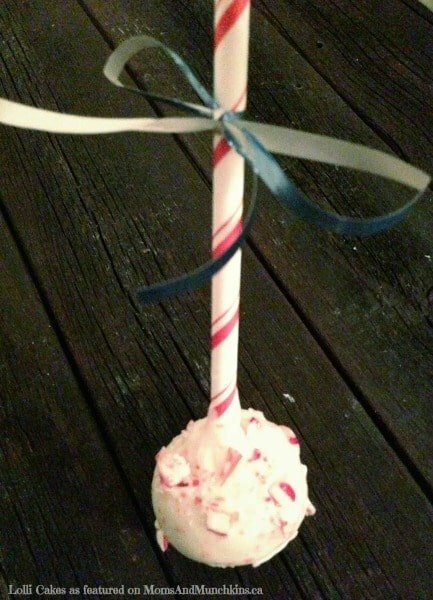 Take the stick or festive straws and dip them into the candy coating. Take the dipped stick or straw and push it half way into the rolled sugar cookie pops. Let them sit for about 10 minutes while the candy coating dries and adheres to the pop batter. Take the remaining candy coating and add either some vegetable oil or vegetable shortening and thin it enough for dipping. It should slide off a spoon in a medium stream of motion rather than sliding off too fast. 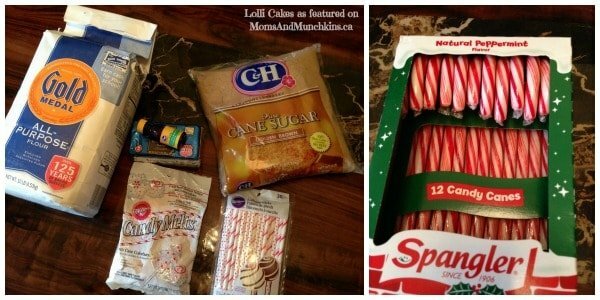 Take 2-3 peppermint candy canes and place them in a bag and crush them with whatever tools you have. I used my big rolling pin which works fairly well for crushing. Dip the sugar cookie pop in the candy coating and tap off the excess candy coating. Hold the pop in your hand for about 30-40 seconds so that when you place it back down on the wax paper, it doesn’t immediately form a flattened candy coating around the bottom of the pop. 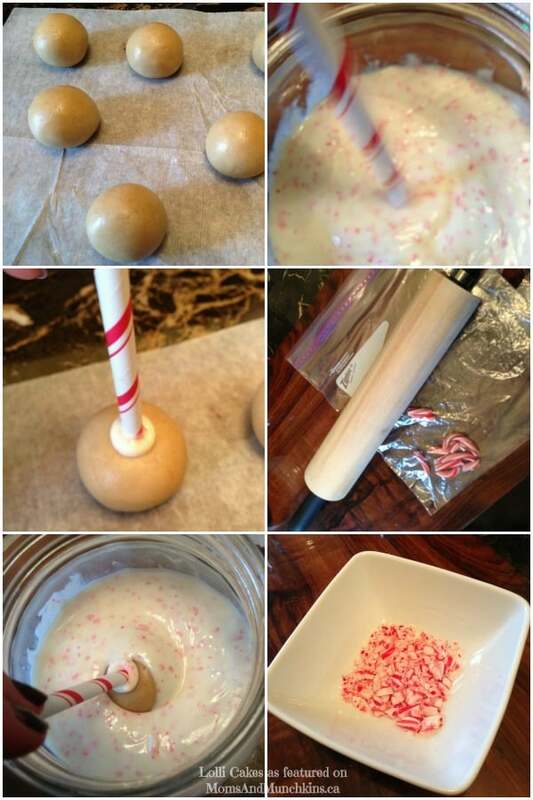 Before placing the sugar cookie pop back down, sprinkle it with the crushed up peppermint candy cane pieces. Then place it on the wax paper until the candy coating has harden. Once the candy coating has hardened, it’s time to take your ‘quick to make’ sweet treats to your gathering! Ta-Da! And now you can get back to that gift shopping and wrapping but before you do, don’t forget to sneak a bite or two…..you know you want to! Happy Holidays Everyone! So easy to make and will be the hit of your Christmas Party! For more ideas for holiday baking, visit our Christmas Fun page. 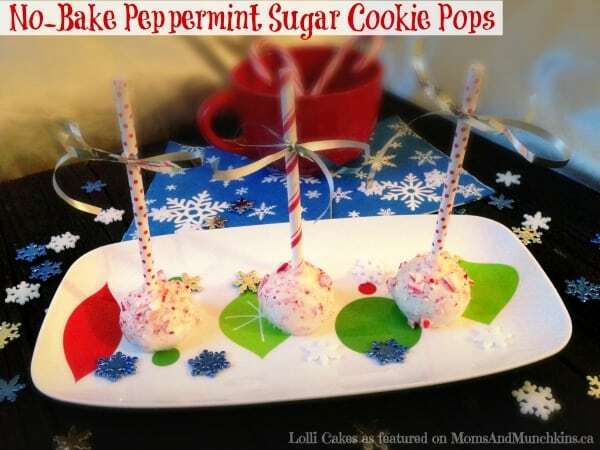 We’d like to send Sarah a big THANK YOU for sharing this No-Bake Peppermint Sugar Cookie Pops tutorial and recipe with us. You can find more delicious creations on her Facebook page. Be sure to follow along as she has some pretty adorable & inspiring creations to share with you. For more Sunday Sweets tutorials, follow Moms & Munchkins on Facebook, Twitter, Pinterest and Bloglovin’.